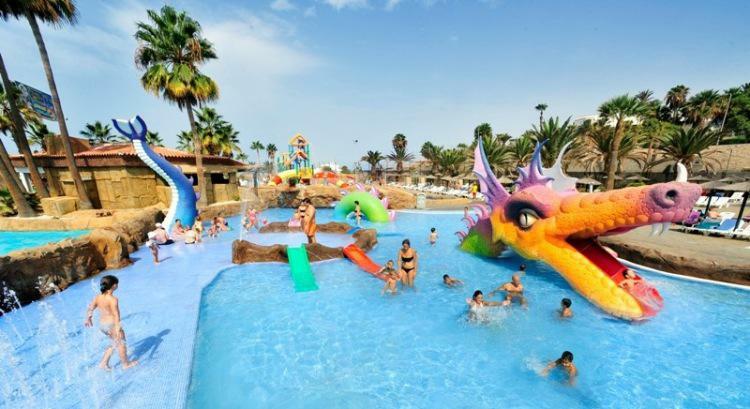 Water babies and sun seekers can head to the water adventure park Aqualand, which is located in the Costa Adeje area, close to Playa de las Américas. 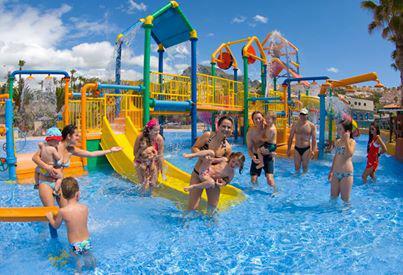 This is the first waterpark in the south and it has recently been refurbished and updated. 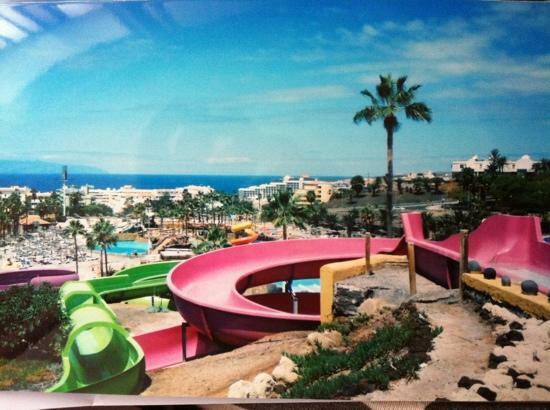 It promises a great day out for all the family, especially children who will love the selection of slides, tunnels, play areas and swimming pools. 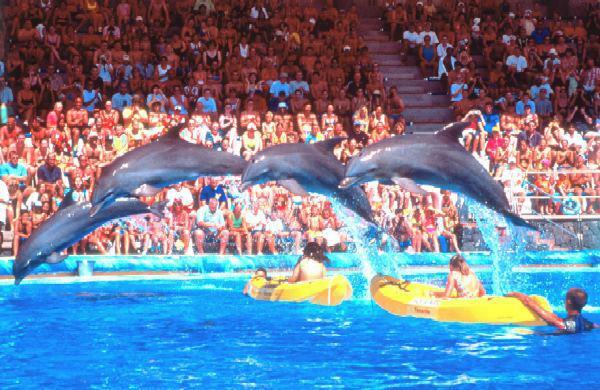 Aqualand also puts on a fantastic dolphin show that is included in the ticket price. These magnificent and intelligent creatures perform tricks that will make you and your whole family smile. 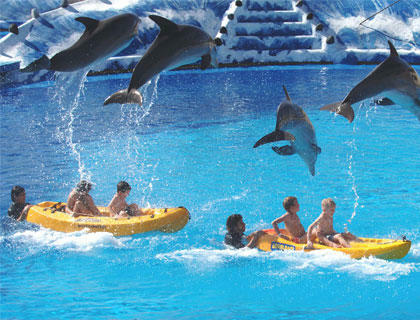 The 11 bottlenose dolphins are the stars of the show, seven of which were born at the park. Besides all this, the park has rapids, trampolines, Children’s Castle, Tornado ride, a lazy river (Congo River), bars, restaurants – everything you need for a perfect day. Throughout Aqualand there are restaurants, cafés, snack bars, shops, sunbeds and sunshades. This is the perfect way to keep children entertained in a safe and controlled environment while you can kick back in the sunshine. 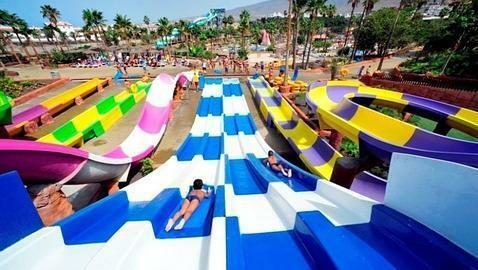 But, remember that aqualand is for big kids too – you are never too old to have fun! 17,50€ – per child 110-140cm tall. 8€ – per child 90-110cm tall. free – per a child less than 90 cm tall.